It’s a special day when you finally get to welcome your baby — or babies — into the world, but when the birth date also falls on the most celebrated Star Wars holiday, it’s even sweeter. So, of course, the couple had to give their babies Star Wars-themed names. Because when the force is with your baby boy and baby girl — you can’t deny it. Rowan Luke and Kai Leia were born at the McKay-Dee Hospital in Utah weighing 5 pounds 9 ounces and 5 pounds 4 ounces, respectively. Their middle names were derived from the iconic twin characters Luke Skywalker and Princess Leia, and apparently — that was part of the plan all along. “We found out we were having a boy and a girl, and we knew that, being born May the Fourth, they had to be Luke and Leia — at least for their middle names,” Kendall Robbins told Salt Lake City’s KSTU-TV. “As soon as we knew that there was a chance they were May the Fourth babies, it was like, ‘All right: If they are born on May the Fourth, that’s happening,’” Ross Robbins told the TV station. He even wore a shirt to the hospital that had Darth Vader’s famous line, “I am your father,” written on it. Clearly, this family was ready for this day. And the force most definitely was with them! Rowan and Kai have many “May the Fourth” birthdays ahead of them. Here’s a list of Wars-themed birthday gift options, in case their friends and family ever run out of ideas. 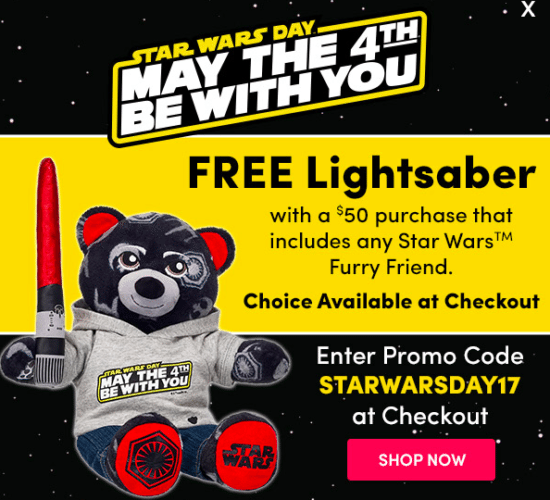 This year, Build-A-Bear Workshop launched an out-of-this-world lineup for its “May the 4th be with you” event and even offered a free lightsaber with a $50 purchase. 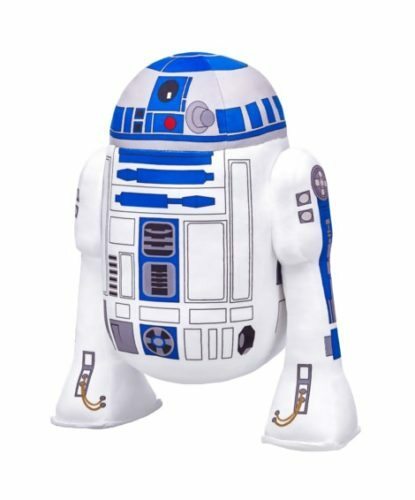 Ever consider buying a cuddly robot droid? You can get one at Build-A-Bear Workshop. Fans of the adorable R2-D2 can now get their own stuffed version. And everyone knows that you can’t have this droid companion without his signature beeps. So, Build-A-Bear Workshop decided to include a sound chip so fans can enjoy the full R2-D2 experience! Sure, Boba Fett is a bad guy. But, he’s one of the most popular characters in the “Star Wars” universe. 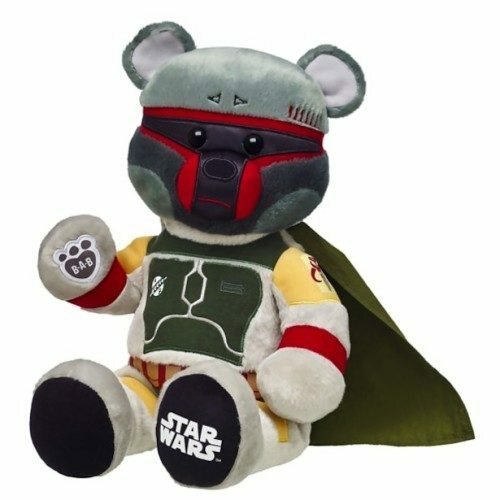 That’s why Build-A-Bear Workshop launched a limited edition Boba Fett bear! He comes complete with his signature armor and cape. You can order him onlineand stuff him in your local store. Or you can pick him up at the store directly. But, hurry, because he’s taking off on his next bounty hunt soon! You can also choose from Kylo Ren, Chewbacca, Darth Vader, Poe Dameron, a stormtrooper and more on the Build-A-Bear “Star Wars” website. Canadian Prime Minister Justin Trudeau gained even more star power last year when he sported Star Wars socks on May 4 — with a suit, no less. 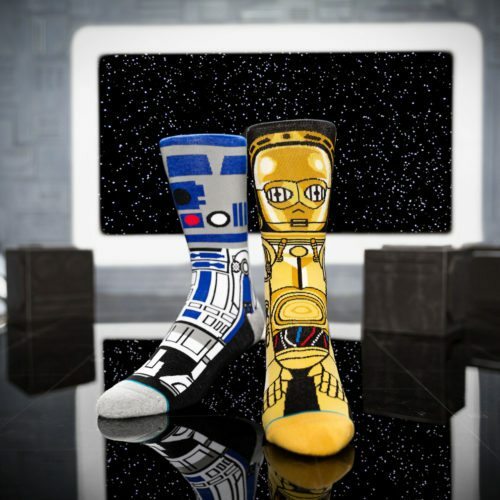 You can get his exact pair of Droid socks online for about $20. Congratulations to the Robbins family! RELATED: This boy was surprised by Chewbacca, with the news that they had found him a new heart!